“Making a positive difference is what we stand for”, claims Fonterra, the public face of New Zealand Milk (Australasia) Pty Ltd. 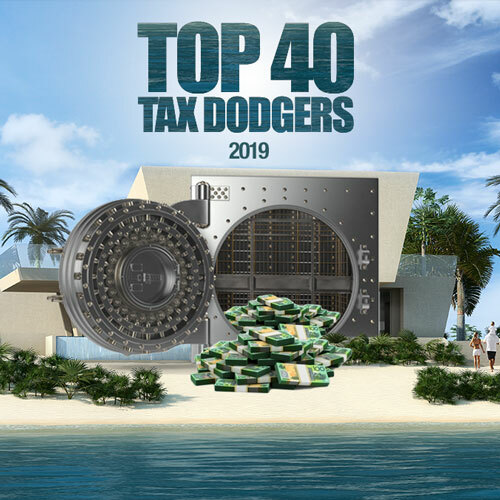 The $20 billion a year Kiwi milk juggernaut has hardly made a difference on the tax front in Australia though, shooting up the Top 40 Tax Dodgers charts from #35 last year, despite its sharply rising profits. Its latest accounts show the group made a profit before interest of tax of $146 million in Australia in 2017, and provided for tax expense of $37 million. Thanks to tax losses, actual tax paid in that year was just $887,000. Tax paid last year in 2018 was just $543,000 although revenues spiked from $1.8 billion to $2 billion and profit came in at $50 million. 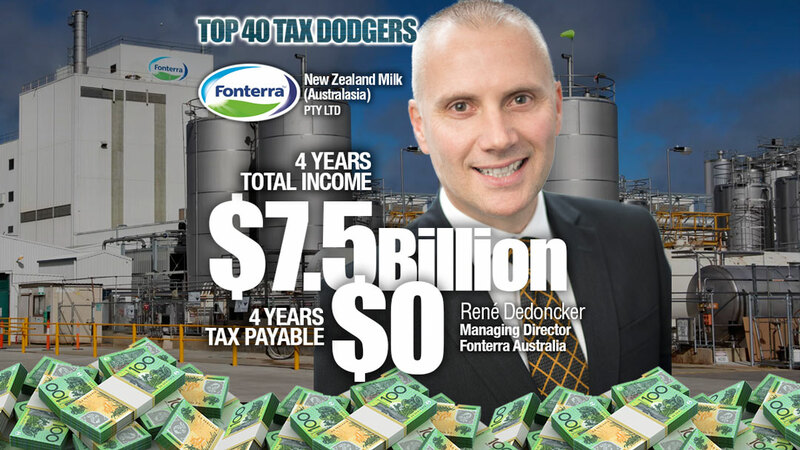 Tax losses from the dairy price discounting war and a global milk glut in the earlier years provided Fonterra a bona fide reason for paying no tax but the $566 million in related party financing arrangements disclosed in its accounts would appear to deliver ample scope to avoid tax in Australia. In a statement, the company said the ATO had “rated Fonterra’s overall level of assurance as “High” and confirmed that Fonterra has paid the correct amount of tax”.